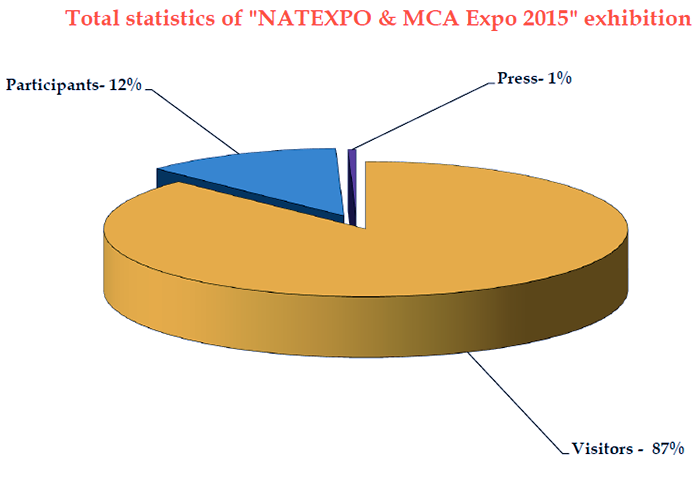 Statistics "NATEXPO 2015 and MCA Expo 2015"
Visitors statistics "NATEXPO 2015 and MCA Expo 2015"
Statistics stands and companies "NATEXPO 2015 and MCA Expo 2015"
Press statistics "NATEXPO 2015 and MCA Expo 2015"
Statistics of companies participants "NATEXPO 2015 and MCA Expo 2015"
Approximately 400 companies from the following countries were participants and visitors of "NATEXPO & MCA EXPO 2015": Russia, Belarus, USA, Canada, Japan, Germany, France, Belgium, Switzerland, Norway, Spain, Italy, Czech Republic, Great Britain, Israel, China, Taiwan, Armenia among many others. International exhibition of professional equipment and technologies for TV, radio, Internet broadcasting "NATEXPO" and exhibition-conference of equipment and technologies for film production "MCA Expo" united this year at the same venue of VDNH. It is important to point out that the "NATEXPO" project was created by the National Association of TV and Radio Broadcasters (NAT) with the direct participation of the largest Russian companies working in the television and radio industry. Congress of the National Association of TV and Radio Broadcasters and "NATEXPO" are supported by the Federal Agency for Press and Mass Communications. The following representatives of TV and film industries attended "NATEXPO & MCA EXPO 2015" exhibition: general, commercial and technical directors of major television and film companies, TV channels, manufacturers of filming, studio and sound recording equipment as well as content, animation studios, educational institutions of television and film, schools and faculties of professional make-up and hair-does, film agencies, cable operators and many other participants from Russia, CIS and abroad. This year, the exhibition was attended by the companies from Novosibirsk, Moscow, St. Petersburg, Nizhny Novgorod, Krasnoyarsk, Blagoveshensk, Novodvinsk, Petropavlovsk-Kamchatskiy and other Russian cities, as well as by the representatives from foreign countries, who also participated actively in the conference program. 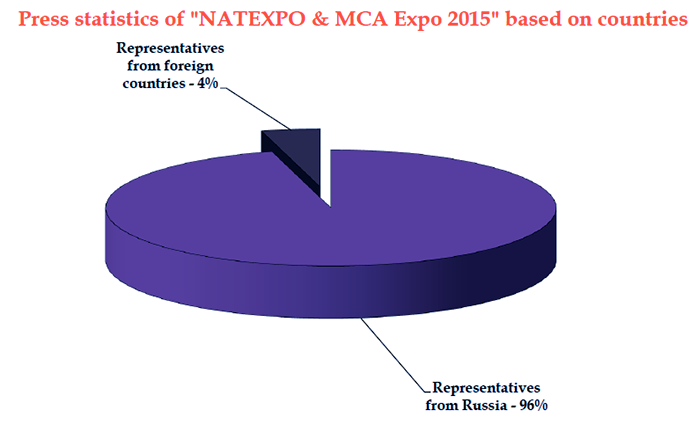 Among "NATEXPO & MCA EXPO 2015" participants the following companies should be pointed out: "Panasonic", "Riedel Communications GMBH", "Gazprom Space Systems, JSC", "Canon", "JVC", "Ikegami", "Sony", "Film school of Aleksandr Mitta", "School of make-up Estel Shine", "Soyuzmultfilm", "Pond5", "Sfera Kino", "KVG Research", "VSN", "Fujifilm", "RTRS", "Okno-TV", "Harmonic", "Wheatstone Corporation", "RTS", "Grain Consaltex", magazines "Broadcasting", "Mediavision", "TKT" and many others. For the first time «Cinegy», EVS , YUAN HIGH TECH DEVELOPMENT CO, Mandozzi Elettronica SA, Elber, Radionika, Sector-Alpha, Sirius, PLASMATEX took an active part in the event. 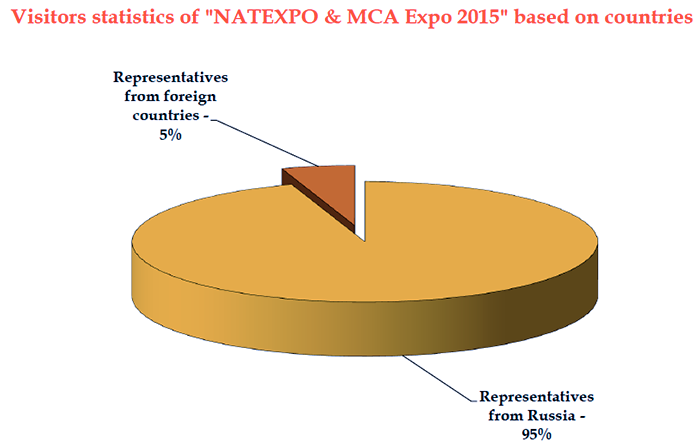 Exhibition participants have pointed out that despite the crisis downturn in the industry, the international program of "NATEXPO & MCA EXPO" has never been this rich and interesting. Presentations covered a whole range of topical issues related to the world television and film industries from newest technologies of television broadcasting, ways of making video production cheaper, using stock content in movies and peculiarities of 12+ content creation to motion capture animation and infringing copyrights of content creators. The detailed program can be reviewed on the official websites of the event: www.natexpo.ru/programma-seminarov-natexpo-2015 , www.mcaexpo.com/programma-vystavki. As part of the united exhibitions the XIX Congress of the National Association of TV and Radio Broadcasters was held. It is an annual international event, the biggest one in the Russian media community. The opening ceremony was attended by Deputy Minister of Communications and Mass Media A. K. Volin, Head of the State Duma Committee on information policy L. L. Levin. Prime Minister of the Russian Federation D. A. Medvedev delivered a welcome speech addressing the participants and visitors of the exhibition. The Congress work started with the rewarding ceremony of the National Award named after Vladimir Zworykin for technical achievements in the field of TV and radio broadcasting. The exhibition received wide coverage in the Mass Media. Newscasts have been aired on many television channels: "Channel One", "TV Tsentr", "Moscow 24", "Public Television of Russia". 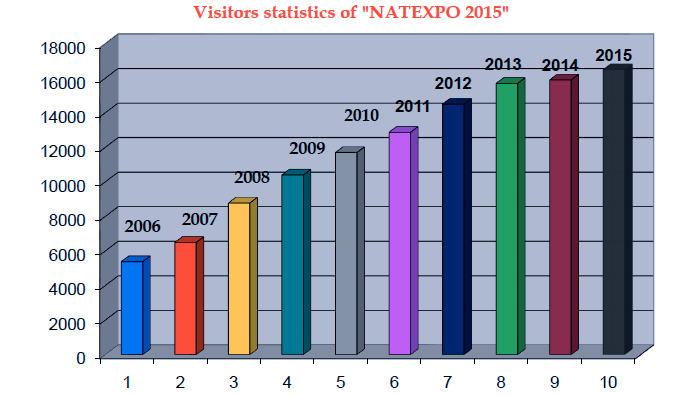 Detailed photo report, as well as links to newscasts and articles about "NATEXPO & MCA EXPO 2015" can be reviewed on the following websites of the event: www.natexpo.ru and www.mcaexpo.com. This year the quantity of participants and visitors increased, a large number of new companies joined the event. 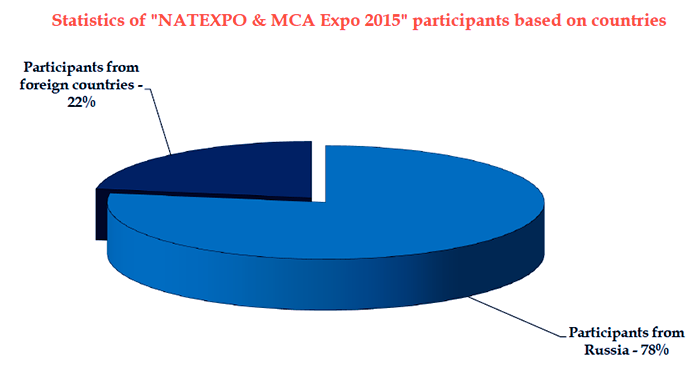 Please, find attached the statistical information regarding the exhibition and conference "NATEXPO & MCA Expo 2015" and the preliminary application form for "NATEXPO & MCA EXPO 2016". 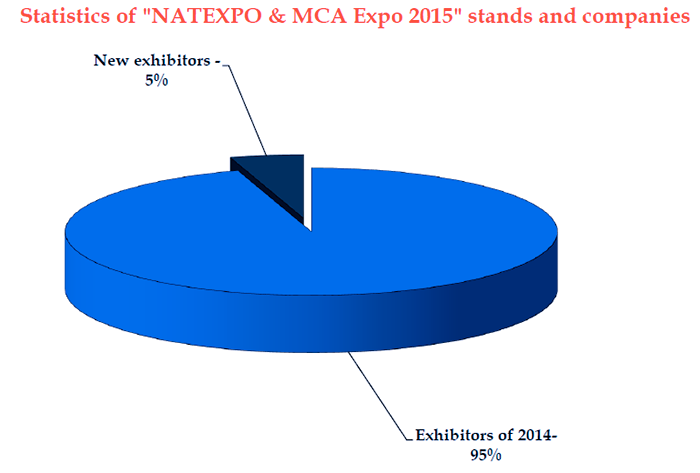 The exhibition and conference "NATEXPO & MCA EXPO 2016" will be held in VDNH, pavilion 75, hall A on November 16 – 18, 2016. Hurry up confirm your participation and book the best stand on these favorable conditions right now. As well you are welcome to send us your applications for participation in the business program. 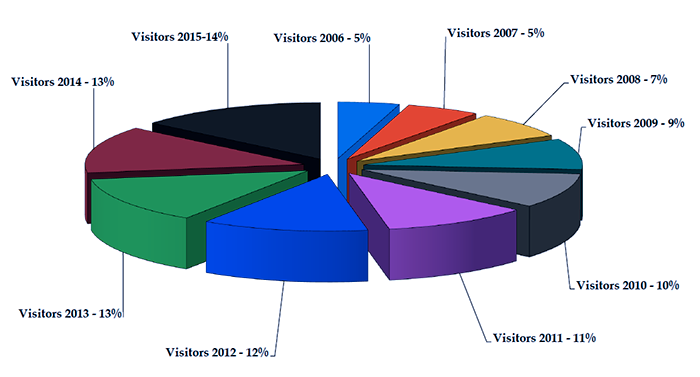 - Did the number of visitors suit you? - Was the venue convenient? - Are you planning to participate in the expanded format next year (organizing presentations and workshops at your stand)? We are looking forward to seeing you at "NATEXPO & MCA Expo 2016"!